Is this delta saw a good deal? 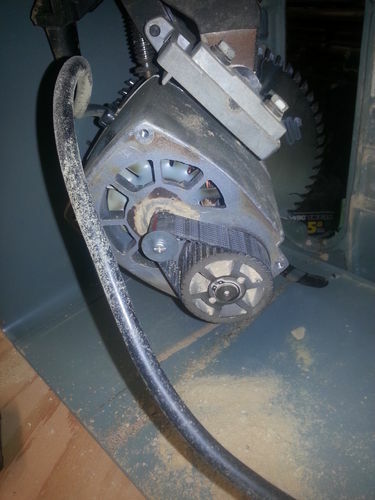 Hey all I am lookin for your opinions on this delta table saw? There is no model or anything in the pictures so just curious what you guys think. If it’s the true Contractor’s Saw, then it’s a decent saw at a reasonable price. But, I don’t think it is…. Delta made a direct-drive saw that was quite a bit lower in quality and durability than the Contractor’s Saw. This looks like it, but it’s kind of hard to tell. Get it if it’s got a motor hanging off the back of it. It looks like it’s a compact saw, not a full size contractor saw. If that’s the case, it’ll be only 22” deep vs 27” deep, and will have a direct drive universal motor (with a cog belt) vs a v-belt driven induction motor. $200 is no deal if that’s a compact saw like a 36-600 (my first saw), 34-670, TS300, etc. This one is not a stellar example, but it’s a step in the right direction if you need a saw soon. This one is nice, but is overpriced IMO…..$300 would be closer to reasonable. that looks like 36-600. it does have a belt between the motor and and blade. not a top quality saw but decent. for 250 you can probably do better. What cog belt on a direct drive saw? Direct drive means no belt. It looks like it s a compact saw, not a full size contractor saw. If that s the case, it ll be only 22” deep vs 27” deep, and will have a direct drive universal motor (with a cog belt) vs a v-belt driven induction motor. $200 is no deal if that s a compact saw like a 36-600, 34-670, TS300, etc. This one is not a stellar example, but it s a step in the right direction if you need a saw soon. It’s not a direct drive machine.